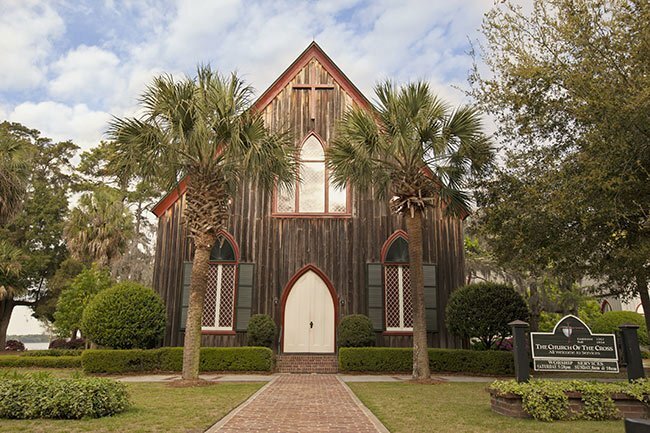 The Church of the Cross in Bluffton has been sitting atop May River‘s bluff for 150 years. The church was consecrated in July 1857. 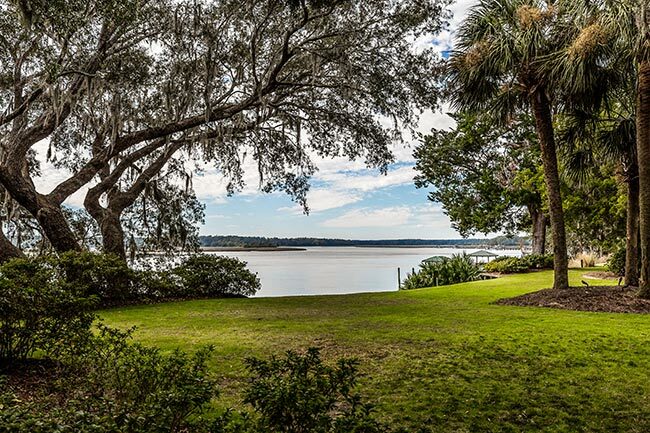 Spared by Federal troops during the Civil War – who burned much of Bluffton in 1863 – it was damaged by a deadly hurricane in 1898. The repairs were completed in February 1900. 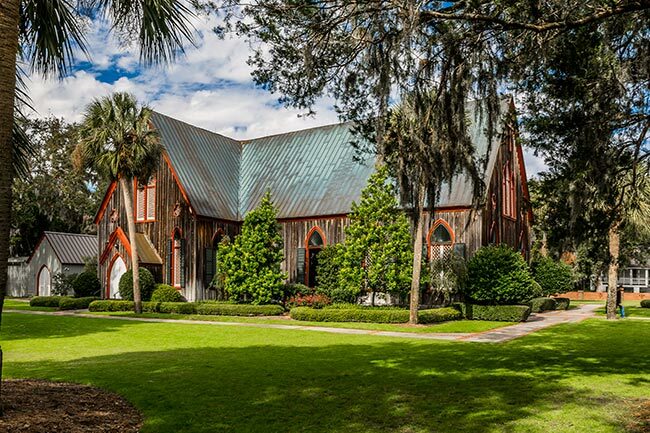 The church of unfinished heart pine was designed by noted Charleston architect E.B. White, known for designing several prominent Charleston buildings such as Market Hall and the French Huguenot Church. Today, the Church of the Cross holds regular services on two church campuses: here and in a modern building at 495 Buckwalter Parkway. 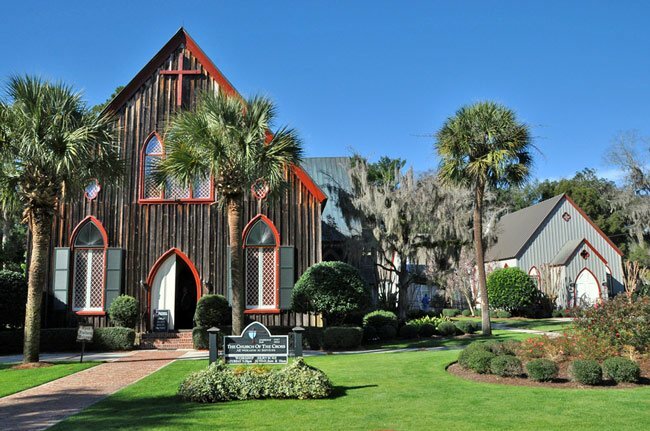 The church participates in Bluffton events, such as the Bluffton Arts and Seafood Festival. The Church of the Cross, ca. 1857, is significant architecturally as a design of Edward Brickell White. White (1806-1882), a prolific engineer and architect of the mid-nineteenth century, was proficient in a wide range of styles: Classic, Renaissance, and Gothic Revival. White designed numerous churches, schools, office buildings and commercial structures in South Carolina. 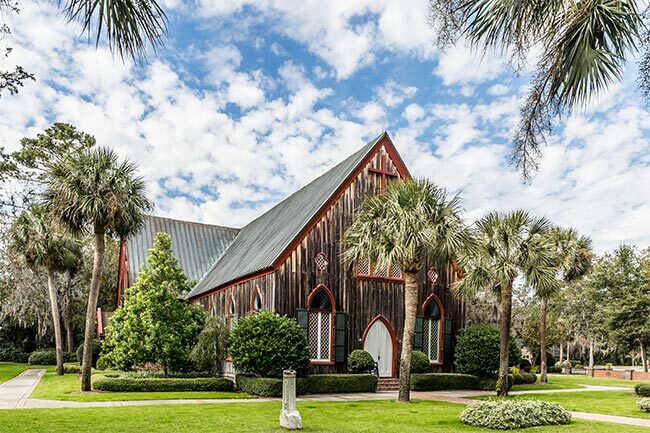 The cruciform shaped Church of the Cross, completed in 1857, is one of his Gothic Revival designs, but differs from the stuccoed, more formal churches of Charleston and Columbia. 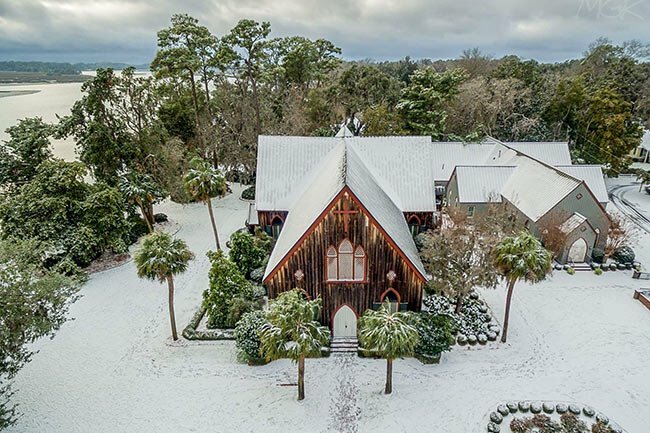 The Carpenter Gothic style with board and batten exterior and interior open timbered roof is in keeping with the church’s scenic, rural setting. The architect’s choice of material, unfinished cypress, and his use of proportion and design, confirm his sensitivity to the character of the small church. 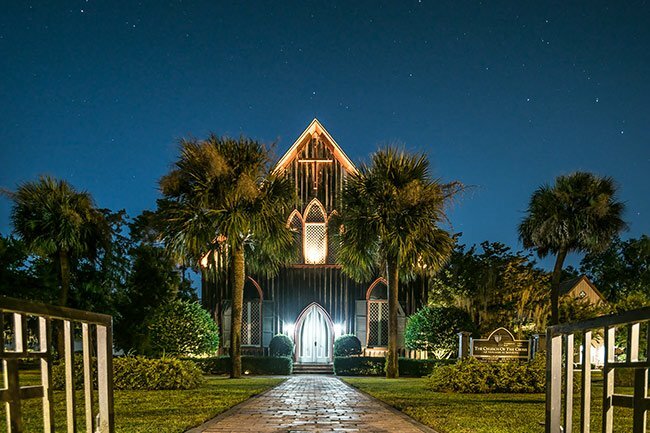 Located on a bluff overlooking the May River, the church is surrounded by live oak and palmetto trees. In 1960 a parish house, which is included in the area nominated, was built in a style compatible with the church, using cruciform plan, pointed arch windows and doors, and weathered cypress siding. Thank you for the correction, we have it updated! Church of the Cross is heart of pine not cypress. Does anyone know why Sherman spared the Church, while burning most everything else? 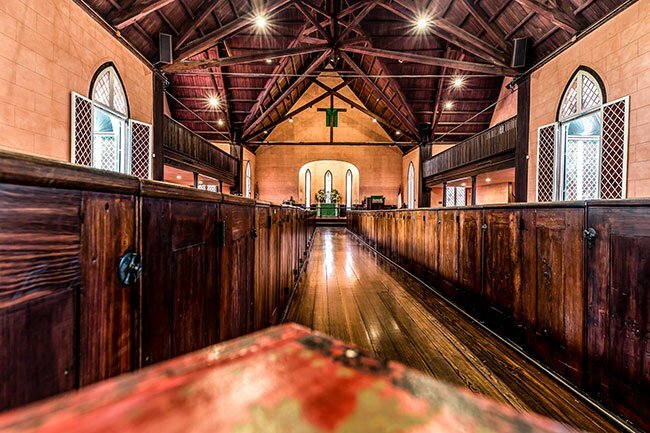 Yes, the church still conducts services at its historic location. Go to the website above the map for more details. Is the church open to the public? Where can I purchase some “Holy Honey”? Are services ever performed in the church?